participation in athletics is an integral part of the educational experience for student athletes. 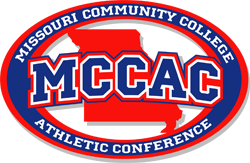 tournament, contest or event sponsored by the MCCAC or its member colleges. disqualify said individual from further participation in the sporting event. events conducted under the auspices of the MCCAC and its member institutions. personnel and other individuals participating in an athletic event. policies. Please refer to the NJCAA manual for more detailed information. c. Confine discussion with the game officials to the interpretation of the rules. deliberate teaching of players to violate the rules is indefensible. opponents, officials, spectators and the institutions they represent. malicious remarks toward opponents, officials and spectators. unsportsmanlike act toward opponents, officials, or spectators. controlling unruly students and spectators. Softball rules and umpire mechanics. the score or the quality of the play on the field. c. Honor all assignments and contract. d. Refrain from use of tobacco and alcohol on site. g. Listen to a coach’s concerns and respond in a professional manner. A certificate will be awarded to the President of the winning institution. selected by a vote of participating coaches. 2. Coaches will nominate deserving players from their respective teams. Ballots will then be distributed to all coaches. players on their own team. recognized as MCCAC Honorable Mention. participating coaches are eligible. Coaches may not vote for themselves.